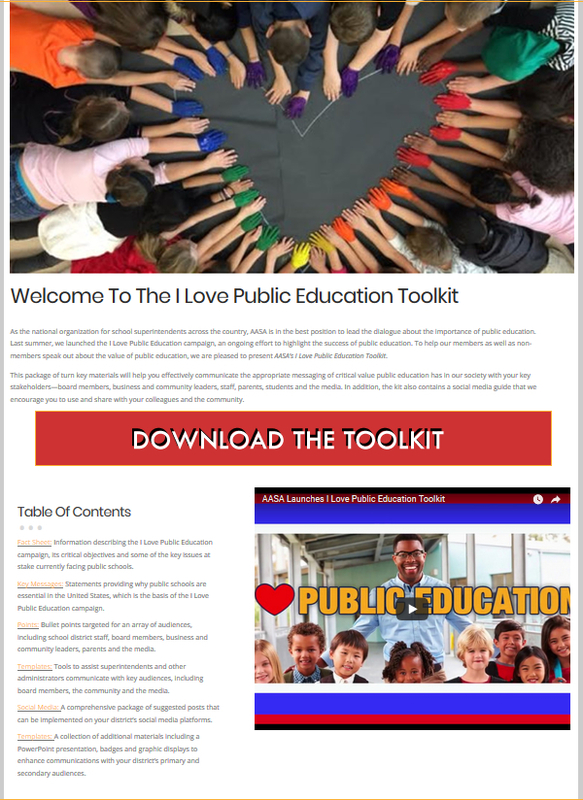 On behalf of more than 50 million children that attend our nation’s public schools, the I Love Public Education campaign is designed to facilitate deliberate conversations and strong, meaningful actions on the efforts to bolster our schools to best support the students they serve. 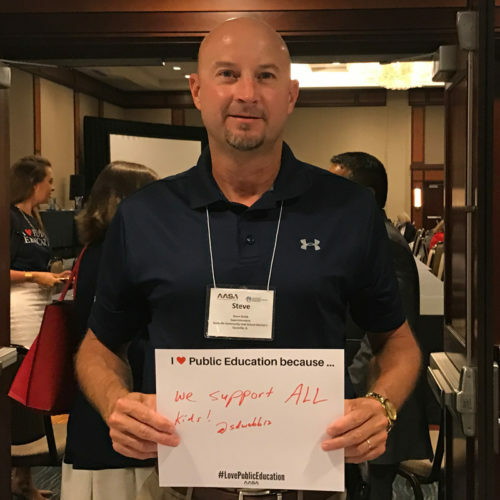 On behalf of the children that attend our nation’s public schools, the I Love Public Education campaign is a year-long effort to highlight why public schools are essential to developing the future generations that will maintain our country’s status as a world leader. 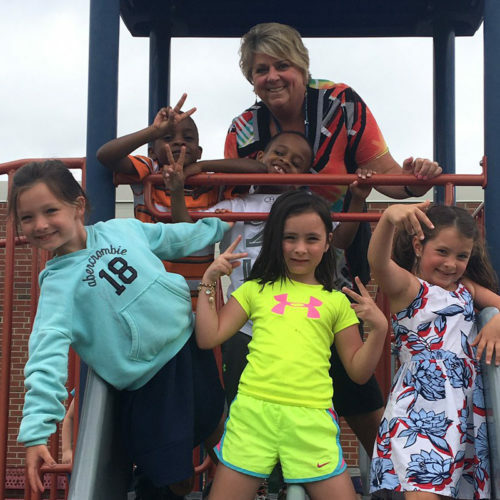 The campaign is designed to facilitate deliberate conversations and strong, meaningful actions on the efforts to bolster our schools to best support the students they serve. 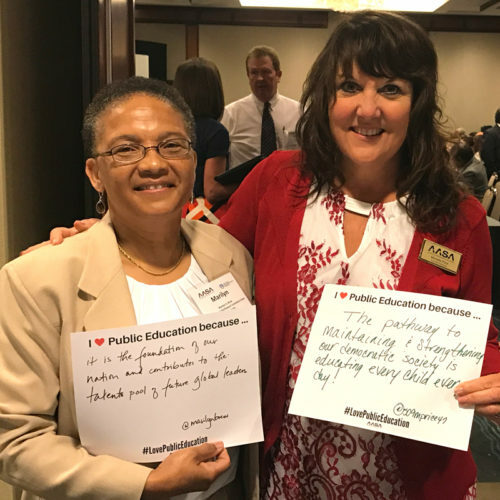 We will work to reframe the current national dialogue on public education to highlight the critical role public schools play as the bedrock of our civic society and their work to prepare students to be successful, contributing members of their local, national, and global communities. 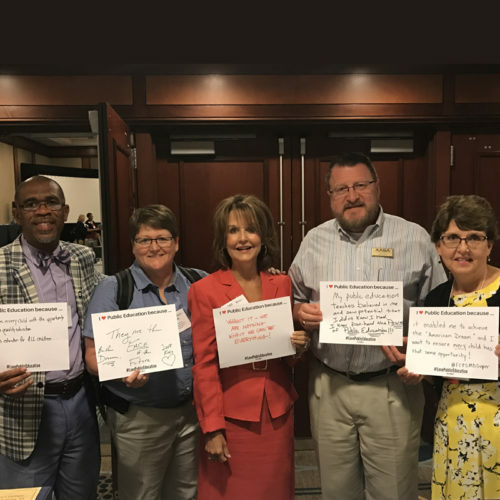 As the national organization representing public school superintendents, we have long focused on the importance of equity as a driver of and goal for educational opportunity and achievement. Equity is at the center of our campaign, with the long-term goal of ensuring all communities have access to a high-quality public school. Our multi-pronged campaign will permeate all aspects of our work: Advocacy, Children’s Programs, Leadership Development and Membership Services, as well as the supports and services we provide members, including newsletters, social media, webinars, cohort communities, and more. 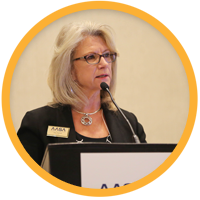 Watch the brief testimonials from AASA President Gail Pletnick (Supt., Dysart Unified School District, Surprise, Ariz.) and AASA President-Elect Chris Gaines (Supt., Mehlville Public Schools, St. Louis, Mo.). 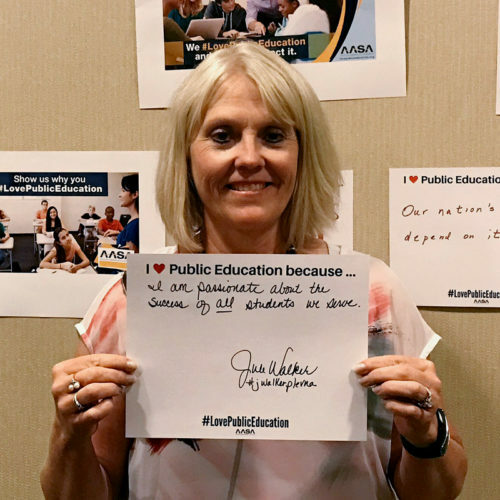 As the national organization for the school superintendents who lead our public schools, AASA is in the best position to lead the dialogue about our love—and the importance of this love—for public education. 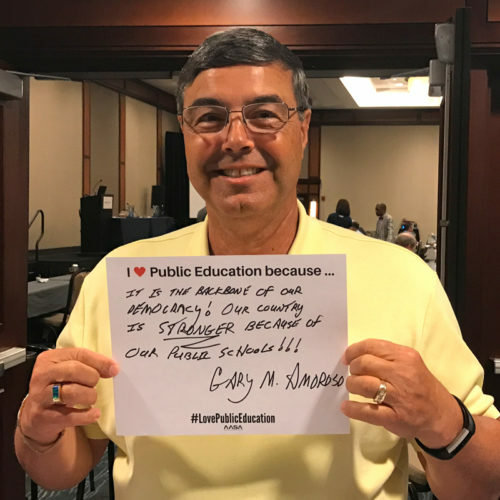 Our “I Love Public Education” campaign is a direct extension of our commitment to ensuring all students have access to a high quality public education. 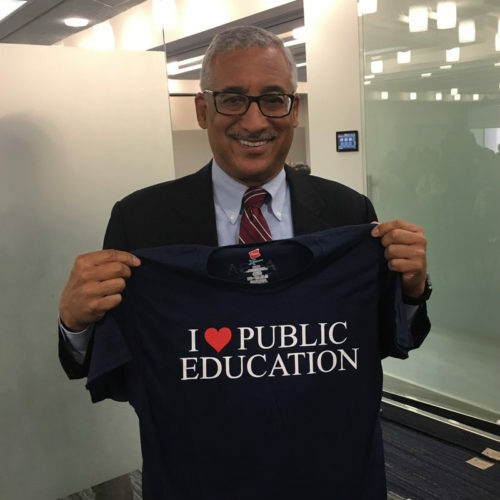 At a time when education policy may be momentarily distracted from the rich history of our public schools and the role they play in preparing students to be productive adults, who better than school system leaders to lead, shape, and grow a broad dialogue and support for loving public education? 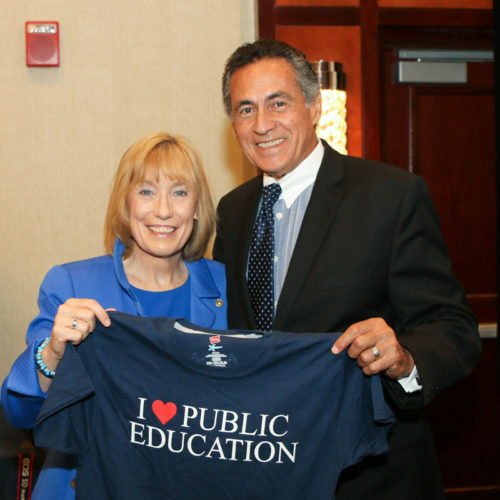 It’s time to change the national dialogue around public education. We encourage every educator, student, parent and community member to leverage their social media accounts to foster conversations and strong actions to allow public schools to provide the best support to students. 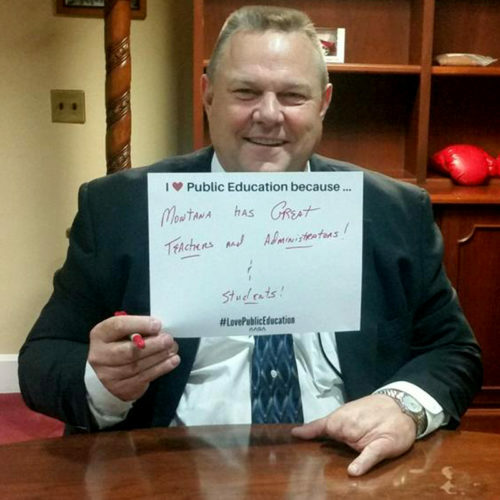 Make your voice heard by tweeting, posting and sharing why you, your students, your teachers, your community and your school district #LovePublicEducation and why every student in America deserves access to a high-quality public school. View and share your photos on Google Drive. 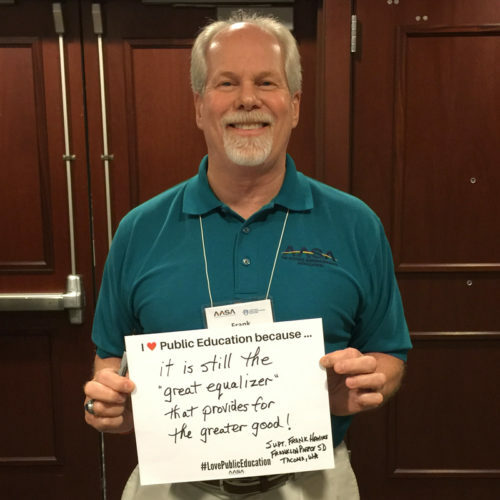 It is still the “greater equalizer” that provides for the greater good! 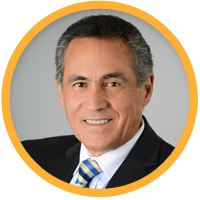 I am passionate about the success of all students we save. It is the backbone of our democracy! Our country is stronger because of our public schools!!! 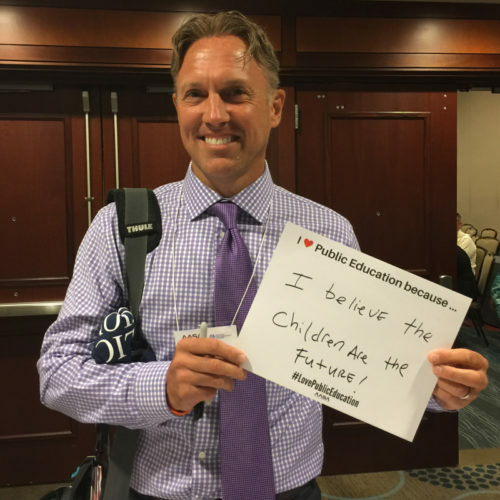 I believe the children are the future! It is the foundation of our nation and contributes to the talents pool of future global leaders. 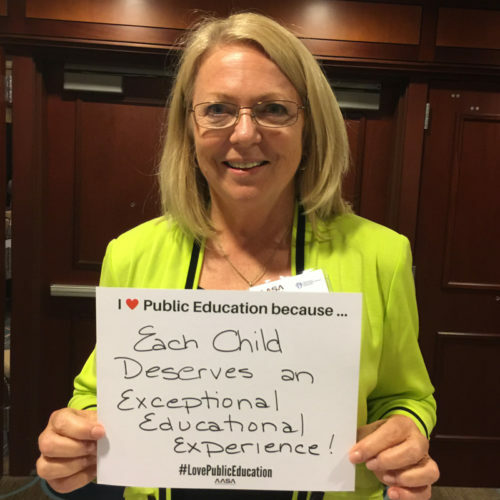 Each child deserves an Exceptional Educational Experience! Without it – we are nothing With it we can be everything! Today’s students are tomorrow’s leaders. 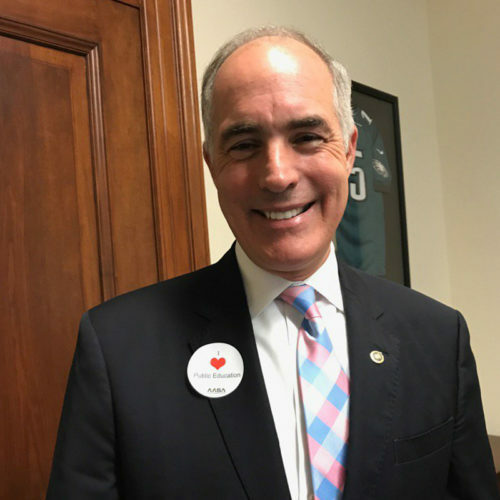 Sen. Bob Casey (D-Pa.) shows his support for the I Love Public Education campaign. 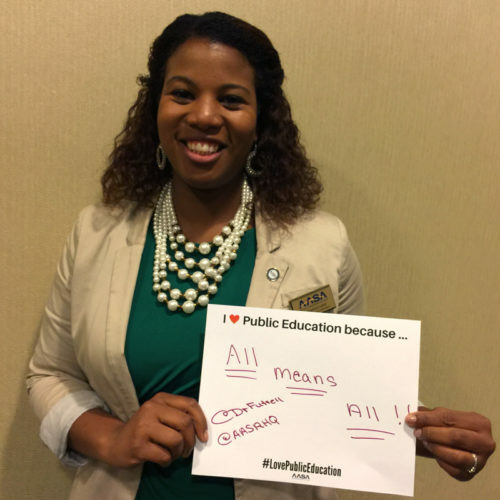 All children deserve access to a high-quality public education. 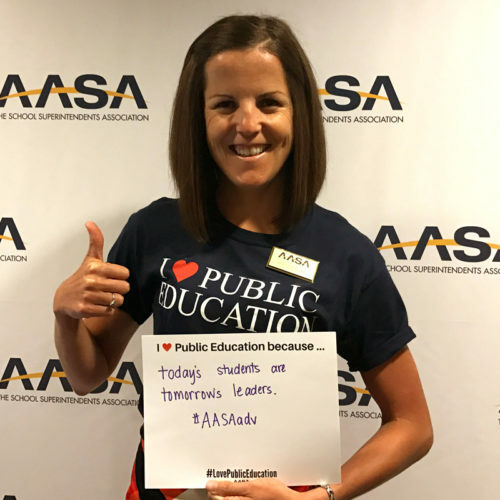 Download .pdf of the Resolution -- Adopted by AASA on Wednesday, July 12, 2017.